Aaron Blackwelder, D.M.D., provides general dentistry for people of all ages. Dental health is important during your entire life. When your teeth are healthy, it follows that you will be healthier, and your quality of life increases. No matter what your age, Lake Country Dental is here to serve your dental needs in the Fort Worth, Texas area. 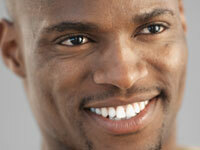 Technology now offers attractive options for cavity restorations in dental care. Called composites, these new tooth-colored fillings are excellent choices for front teeth and other repairs that might be visible. Composites duplicate the natural appearance of a tooth in restoring decayed teeth or repairing a defect. What Material Is Used in the Composite? Composites are made from a mixture of microscopic plastic and ceramic resin particles. Another type of tooth-colored filling is called a resin ionomer, which releases fluoride useful for preventing tooth decay. Besides Their Cosmetic Value, What Other Benefits Do Composites Provide? The bonding process used in restoration provides strength to the tooth, making it more structurally sound. It also seals the tooth, decreasing the chance of sensitivity to hot and cold. Some composites made with materials releasing fluoride are ideal for treating root decay, a condition when gums recede, exposing tooth roots to more cavity-causing plaque. These fluoride-releasing materials also are useful for filling decayed baby teeth. What Is the Process for Treatment? Following removal of the decayed area, a mild acid solution is used to prepare the tooth's surface for bonding. A bonding agent is then brushed over the surface. Next, several layers of the composite are applied. For a natural appearance, the dentist matches the color of the composite to the tooth. Then, it is chemically hardened or cured with a special light and finally polished for a natural-looking finishing touch. How Durable Are Composite Fillings? In a five-year clinical study, some of the resin materials demonstrated 100% effectiveness for adhesion and retention. Like other types of fillings, they may require periodic replacement. While the material is very durable, they may not perform quite as long as silver fillings or amalgams for their resistance to the rigors of grinding and chewing. Scheduling regular dental exams is an important part of good oral hygiene. Your dentist will check your invisible fillings each time to ensure their performance.